What about using Make with Warp, and the "Arc" style, then modifying it by editing the nodes and curves of the warp? Although to be honest, it might take just as long as drawing the outlines manually from scratch. I tried it, and it involved quite a bit of messing around for a less than perfect result. Obviously if you have more time to spend tweaking . . . then go for it! Then with the envelope in place, you can merely move it's corners and handles to distort the letter. This will often get you close, but possibly not exact. 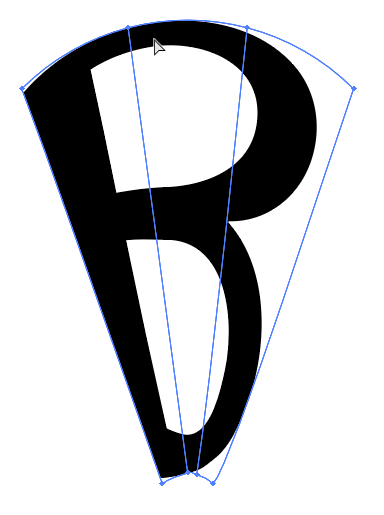 Another option is to create outlines of the type (Type > Create Outlines), and then move the anchors, paths , and handles on the letter itself. This takes more work but can offer a great deal more control. In any event, some manual alteration is going to be required. 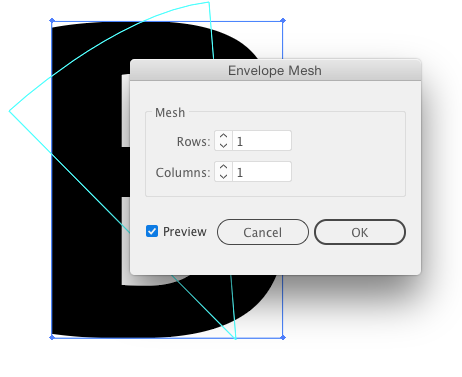 There's really nothing in Illustrator which will distort to match a specific shape every time for every shape. Not the answer you're looking for? Browse other questions tagged adobe-illustrator text distort or ask your own question. How can I envelope distort a circle into a polygon? How can I make these blurry Shape?